As thousands of firefighters battle the deadly and dangerous Carr fire in northern California, one girl found a way to give some of them a boost: burritos. A sweet video captures two-year-old Gracie Lutz doing her part to join the California wildfire relief effort—passing out foil-wrapped breakfast burritos to the hungry firefighters who finished their shift at the Shasta District and Event Center. Her mother, Chelsea Lutz shared the video of the smiley girl who appeared to be wearing pint-sized firefighter boots on Facebook, where it racked up 82,000 views as of July 31st. 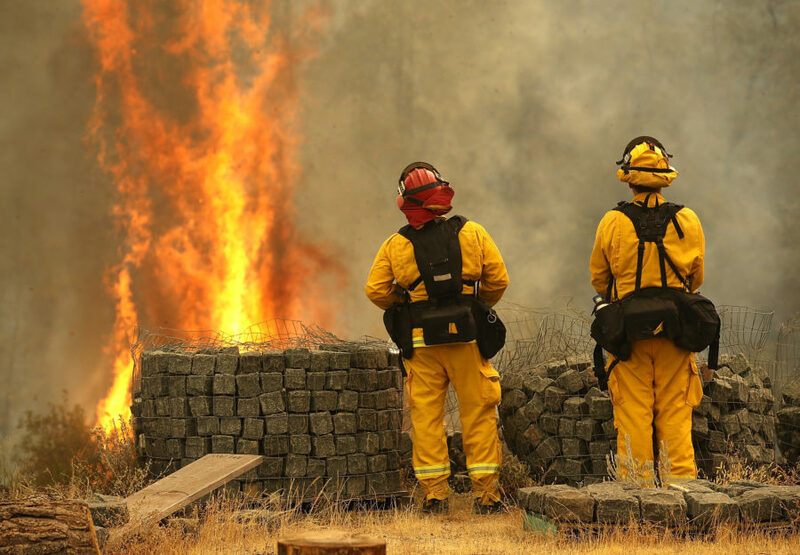 About 12,000 firefighters have been battling what is among California’s deadliest inferno of the year so far, and multiple members of Lutz’s family are part of the crew helping to fight the blaze. That includes her brother, who told her mother he wanted a burrito badly on Monday, according to CBS, which is how the mother-daughter duo got the idea. As the fire raged since last week due to changing winds, triple-digit temperatures and dry brush, it has claimed the lives of at least six people, including a number of firefighters and three people in the same family. It laid waste to 800 homes and engulfed more than 100,000 acres. Officials say it has showed signs of slowing down since July 30th. Watch the video of Gracie Lutz here.